Big budget blockbusters such as Pirates of the Caribbean, Amistad, Perfect Storm, Titanic, Crimsom Tide, and even Jaws, all used a variety of boats, ships, scooners, and even a submarine to convey the story. Each has a level of difficulty that is far beyond driving a car, truck, or motorcycle. 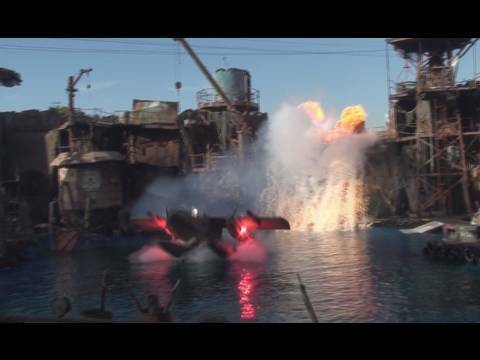 The ability to manage a water vehicle is a unique talent and takes many years of training to accomplish stunts required for such produced films listed. Hollywoodstuntcoordinator.com has a stable of talented and precise group of performers and safety components to create the best action and scenes needed. Water is and can be a very indifferent surface. Between wind, tides, and even the moon it can change on you at any moment. The water is a great source of beauty, enchantment, and vast depth that can add special dynamics to any film or show. The best water movies are films that involve water as a major thematic element. Typically set on a major body of water, such as an ocean, river, lake, pond or creek, these compelling and entertaining stories that just happen to take place or involve water. Hollywoodstuntcoordinator.com has a stable of talented and precise group of performers and safety components to create the best action and scenes needed. Water is and can be a very indifferent surface. Between wind, tides, and even the moon it can change on you at any moment. The water is a great source of beauty, enchantment, and vast depth that can add special dynamics to any film or show.